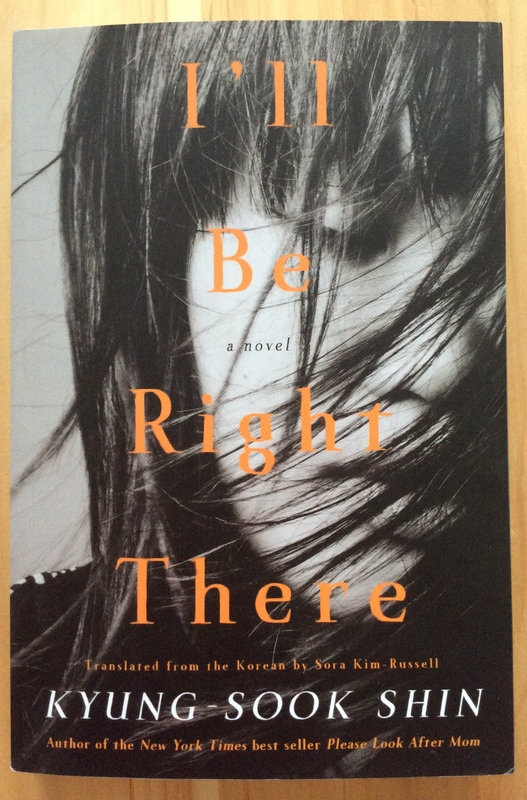 I’ll Be Right There* is a gem of a novel, a quiet, masterful rendering of the emotional life of a young woman looking back on the formative years of her early twenties. Ms. Shin is one of South Korea’s most popular writers, and I’ll Be Right There is her second book translated into English (the first was the bestseller Please Look After Mom); Sora Kim-Russel’s deft translation flows smoothly and carefully through its pages. I loved Yoon’s thoughtful, melancholy voice from the beginning of the novel, and her three friends — Miru, lost without her absent sister; Myungsah, wavering between protest and study, and Yoon’s first love; and Dahn, Yoon’s childhood friend who abandons art for the army — are beautifully delineated through Yoon’s memories, as well as letters and diary entries. A show-stopping passage in which Yoon’s favorite professor tells a version of the St. Christopher tale, about fifty pages into the novel, makes I’ll Be Right There a must-read; it resonates through the rest of the novel, to the very end. Like the professor’s story, I’ll Be Right There is about how we manage adversity and grief in all its forms. Delicately conveyed and beautifully human, it’s highly recommended reading. I feel like I have just scratched the surface of Asian literature with a very few Chinese, Indian, and Japanese writers. There is so much to read! Thanks so much for writing about this book, Carolyn. I would love to read it. I really enjoyed her first novel and was excited to know that she had another book coming out so soon after. I know that only a very small fraction of foreign literature actually enters American markets in translation.